We know Mums deserve a special gift and some acknowledgement for Mother’s Day. So if you’re looking to gift on Sunday, Gifted Cookies are quick and easy to give, always appreciated, and priced from $45 delivered. 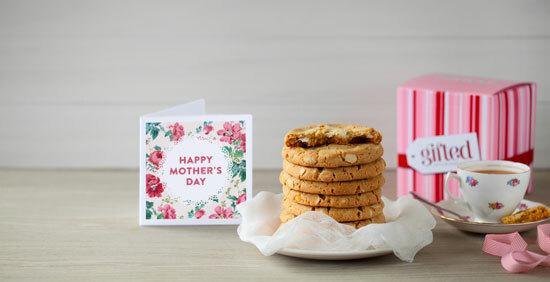 Deliveries for Mother’s Day are made by overnight courier to arrive on either Friday or Saturday – just choose during the checkout process (or choose an earlier date). (For deliveries to rural NZ areas please get your order in a day earlier to ensure Mum’s cookies arrive on time). We’re always stoked when we get feedback from customers who’ve given or received 'Gifted cookies'. Thanks and keep sending it in, or share on our Facebook page, we’d love to know how your gifting experience went.